DILITE® is the premium grade, economy version of DIBOND®. 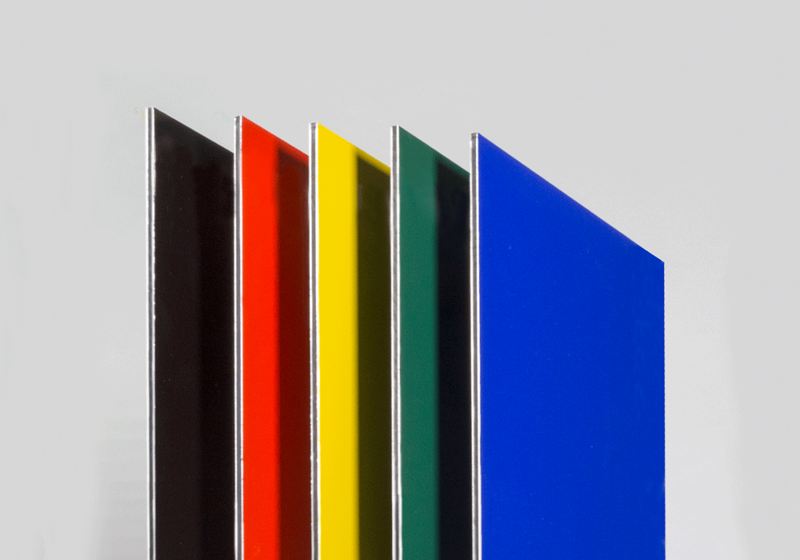 Utilising 0.21mm aluminium skins instead of 0.3mm, the weight of the sheet is significantly reduced and therefore is available at a more competitive rate. The quality of DILITE® is uncompromised by the change of thickness. The aluminium used is still the A/Mg1 grade that is unique to 3A display grade ACM sheets and the polyethylene core is the same high quality middle. The smooth surface of DILITE® makes it ideal for UV flatbed digital printing or screen printing. DILITE® is excellent for use with vinyl graphics and can be used for simple, single-fold 3D POS items. Dilite comes in the following colours Traffic Yellow (UU20), Traffic Red (UU40), Ultramarine Blue (UU70) and Jet Black (UU90).